Miami is one of the most popular international cities located on the southern tip of Florida. Brickell, Miami Beach Downtown, and South Beach are among the most popular places for tourist to visit. Rent a Mercedes-Benz g63 AMG to drive through the glamorous neighborhoods of South Beach and Miami Beach that are known for the colorful art deco buildings, five-star hotels, and trendsetting nightclubs. The AMG version of the Mercedes-Benz G-class or G wagon as many call it is A very popular SUV to rent in Miami. The signature box design has become a luxury car rental that both residents and tourist enjoy frequently. The G63 AMG version is even more in demand for long-term luxury rentals in Miami due to its upgraded interior and more powerful engine. The leather interior is upgraded with a bespoke design and custom trims throughout. You can rent a Mercedes-Benz in Miami for a day week or even for a month. For years, it’s been seen as one of the most popular luxury car hire in the auto industry. It was originally created to be used in military convoys it has become a popular car in Miami. With an ageless design, the AMG version of the G wagon offers a larger engine and more luxurious interior than the G550. Its popular design is popular among celebrities and executives that like to travel in style. 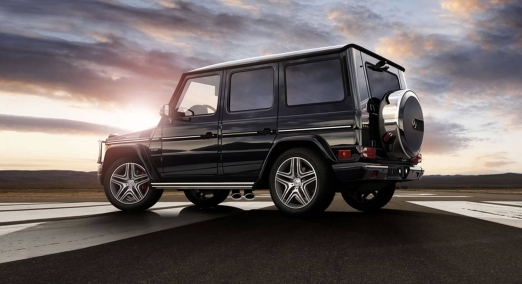 Rent a Mercedes Benz G63 Miami and experience the powerful engine and high-quality interior for yourself. There is plenty of room to fit all your guest and luggage and we can have a g63 or any luxury car rental waiting for you at Miami International Airpot or Fort Lauderdale Airport when you land. We offer free delivery for rentals of more than 2 days. The Mercedes-Benz luxury SUV can also be delivered to your hotel or residence in Miami Beach upon request. Rent Mercedes G63 in Miami today!